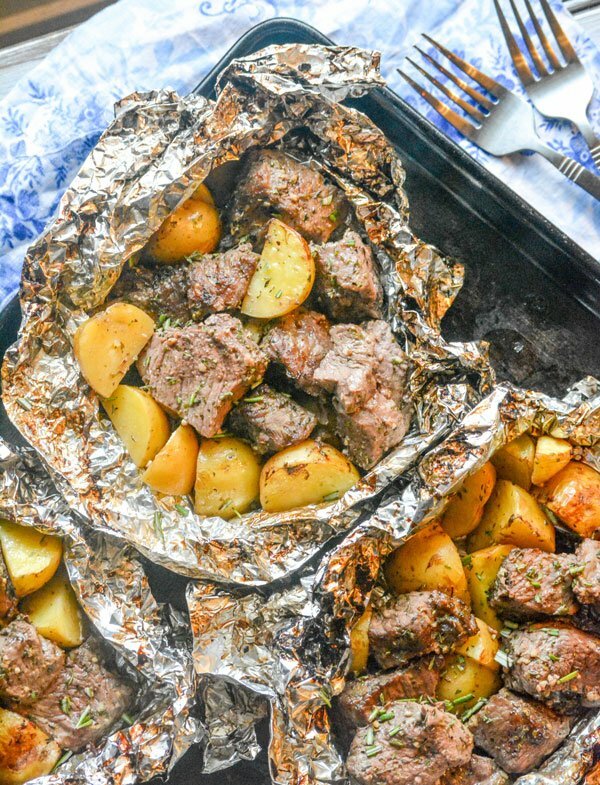 This Grilled Butter Garlic Steak & & Potato Foil Pack Supper is the easy and fast supper idea you were trying to find, but believed you ‘d never find. Steak & & potatoes were indicated to fit, and they come through as the shining stars they were indicated to be in this simple, however flavorful dish. Today’s episode in the I hate moving list, cooking is so hard, and if we consume quick food one more time I will most likely die- I pulled out my own version of old faithful- my grill. Sure, tonight it was only hotdogs and a couple hamburgers, but it was still a filling meal that was simple and required the most minimal effort on my part. Thank Heaven for that! 2 1/2.lbs.sirloin steak, fat cut and sliced into 2 pieces. 2.salt & & pepper, to taste.2. fresh thyme leaves, for garnish (choice).To a large mixing bowl, include the steak, oil, butter, salt, pepper, oregano, parsley, dried thyme, and rosemary leaves. Utilizing a spatula, stir gently up until whatever is evenly integrated and coated. Separate and spread out 4 12×12 sheets of aluminum foil. Divide the steak and potato mixture evenly out onto the center of each foil sheet. Wrap the foil up firmly around the contents of the packets, seal them well. Over high heat, grill the foil packets for 10-12 minutes. Flip and grill an additional 10-12 minutes. Open the packages, let them cook an extra two minutes, and garnish with the fresh thyme leaves, serving immediately. 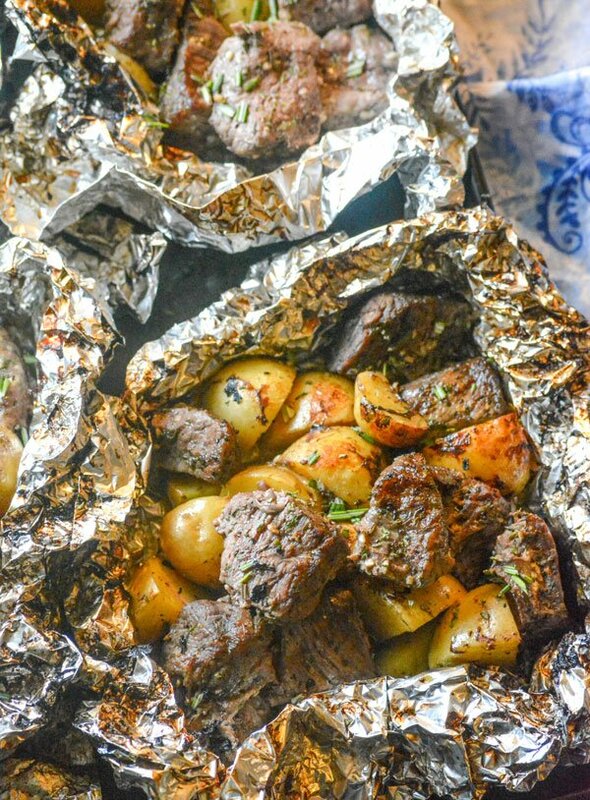 Want a more complete dinner in a dish, err foil packet? Ahh, a simple dinner that tastes remarkable, without any genuine work other than some chopping preparation. Separate and spread out 4 12×12 sheets of aluminum foil. Divide the steak and potato mixture equally out onto the center of each foil sheet. Wrap the foil up tightly around the contents of the packets, seal them well.